Search engine redirection is a common problem for the majority of Internet browsers these days. Regretfully, there’s no absolute protection against such forms of system modification, and even many of the world’s powerful and reputable security programs do not detect browser hijackers as malware. Why is it so? The reason for this is because technically browser hijackers can’t be definitely categorized as computer threats. Furthermore, they are often installed with direct participation of user. How does this ever happen? You will find the answer to these questions and the guide to managing the add-ons and extensions of your browser in the next paragraphs of this article. Use this guide together with another simple and effective tutorial on fixing browser redirection issue and removal of browser hijackers from your system. Let’s say, some sunny summer Saturday morning you wake up and decide to browse the latest news over the Internet. You glance through the pages of your preference, and suddenly you see some program advertised online, together with the news headlines. So, you perform another search, this time you’re looking for the information about this application and ways it can be downloaded onto your system. Finding the ways to download it isn’t difficult. As a result, you immediately find the resource through which it can be downloaded, and so you immediately click the “Download” button. Once the download process is successfully accomplished, you at once proceed with the installation process. While installing this application you are so excited to see how this tool works that you don’t really read the install instructions carefully. As a result, you click “Next” and “Next” repeatedly, and do not notice that in addition to the initial program of your preference you are actually installing other programs, browser add-ons, toolbars and extensions. Many users who weren’t careful enough while installing software onto their workstations have thus installed a lot of other unwanted programs, which weren’t in their plan for installation. Well, why did they get installed then? Simply because users failed to pay due attention while installing other applications onto their computers. The moment you open your default browser is when you see the difference. You will notice that the start page of your browser (the default or blank search page) has been amended and replaced with some other page, with certain unfamiliar site assigned to come up in the beginning. Plus, you will surely encounter certain additional toolbars, search bars and other add-ons which you surely don’t like. Why did they ever appear in your browser? The reason for this is your failure to be attentive or careful while installing applications into your system. So, to avoid installing additional unwanted programs onto your PC, always read the instructions of the install wizard. Opt for the custom installation instead of the standard one. Uncheck all other additional installation offers, leave just those programs that you intended to install initially. Generally speaking, if you have your browser search settings amended as described above, this is surely your fault. You should have been more careful during the setup process of the software you intended to install. Your failure to be attentive resulted in the appearance of other applications on your PC. As a result, your default browser now redirects you through another page. The search results through it aren’t produced fast. The very search experience through new search bar is slow as Christmas, and you surely want to get rid of this add-on that modified your browser. So, if the initial settings of your default browser got amended by browser hijackers please carefully follow the instructions on how to manage them, depending on type of the browser that is set by you as the default one. 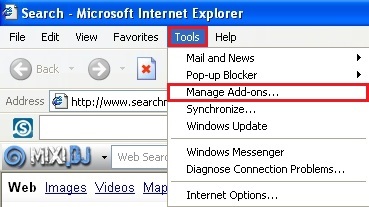 Managing browser add-ons in Internet Explorer. Open Internet Explorer. Go to Tools and select Manage Add-ons. Select Toolbars and Extensions (with latest version of Internet Explorer). Remove extensions and add-ons that cause Internet Explorer redirection. To do it, make the add-on highlighted and select Disable. Reload Internet Explorer to apply changes. 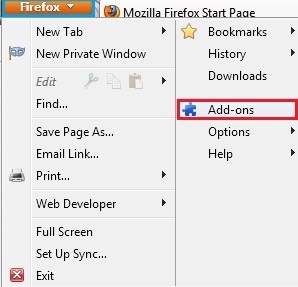 Managing browser add-ons in Mozilla Firefox. Open Mozilla Firefox. Go to Tools and select Manage Add-ons. If you have the latest version of Mozilla Firefox, you will need to direct the mouse pointer towards the left-upper section of Mozilla Firefox window and click the “Firefox” rectangular box and select Add-ons. Select Extensions, choose the respective extensions and click Remove. In the URL address bar, type the text about:config and press Enter. Now you should click I’ll be careful, I promise! to continue. In the search filter at the top, type the name of the add-on that caused browser redirection (or name of the site through which the search was redirected). Now you should see all the preferences that were amended by certain particular browser hijacker. Right-click on the preference and select Reset to restore default value. Reset all detected preferences. 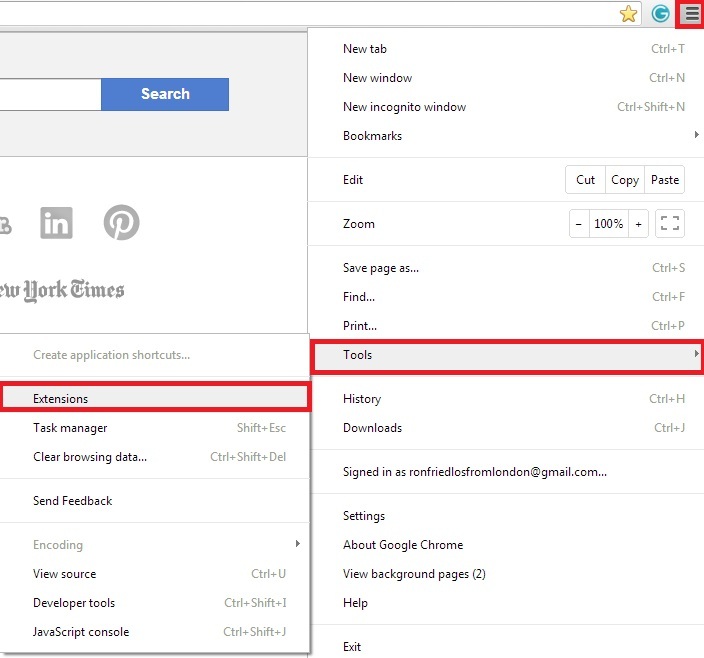 Managing browser add-ons in Google Chrome. Click on Chrome menu button. Go to Tools and select Extensions. Click on the Recycle bin icon to remove the respective extension. Click on Chrome menu button once again. Choose Settings. Click Set pages under the On startup. Remove the name of site through which redirection occurs by clicking the “X” mark. Select Use current pages, choose chrome://newtab and click OK to apply changes. Select Google, Bing or any other search engine you prefer from the list and make it your default search engine provider. 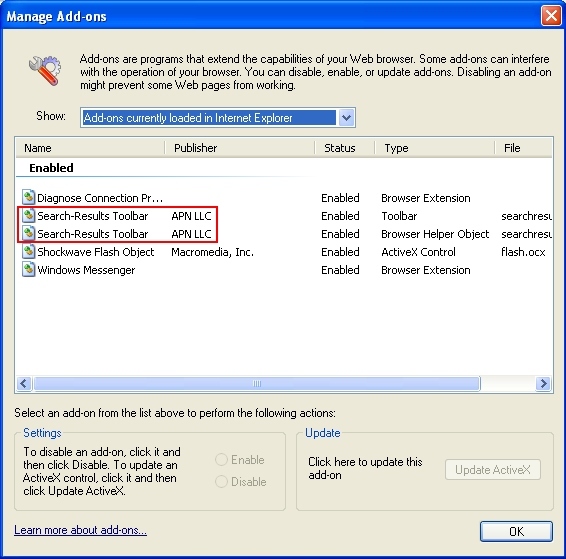 Select all other unwanted add-ons and hijackers from the list and remove it by clicking the “X” mark. 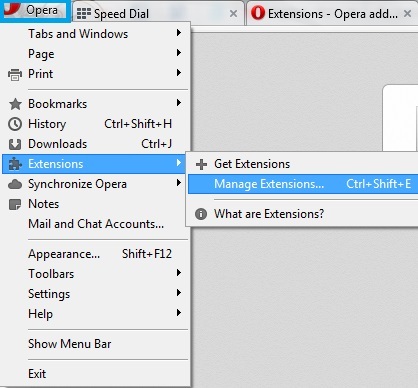 Managing browser add-ons in Opera. Direct the mouse pointer towards the left-upper section of Opera browser window and click the “Opera” rectangular box. Go to Extensions and select Manage Extensions. Remove all unwanted extensions through which redirection may take place. Note! If this solution didn’t help you remove browser hijackers from your computer and if browser redirection still persists, please visit this guide https://www.system-tips.net/guide-to-fix-browser-redirection-and-remove-browser-hijackers/ for additional assistance. thanks for these tips. chrome is a pain to manage, so this helped a lot.